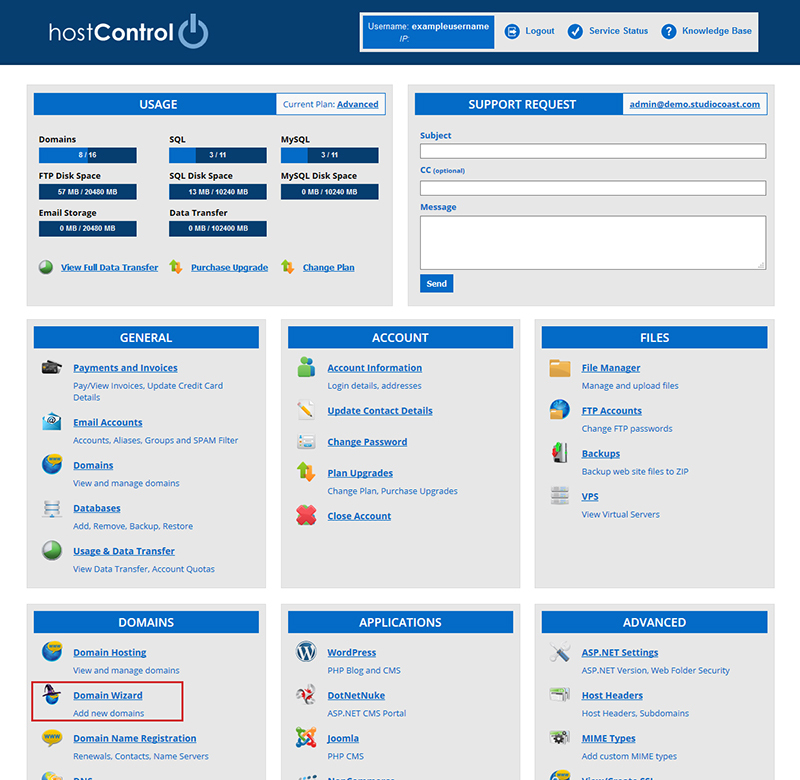 The following guide explains the steps to setup a new virtual domain for hosting services (Web and Email) using the Domain Wizard in hostControl. First Login to your hostControl account. Then select the "Domain Wizard" menu item from the Domains section. Choose the "Virtual Domain" option from the list and click Next. If the "Virtual Domain" option is greyed out, you will need to go to the "Plan Upgrades" menu item and then the "Purchase Upgrade" tab to purchase a 'Virtual Domain' upgrade. Enter the domain name you wish to add in the Domain Name field. It needs to be just the domain name, with no http:// or www. Finally, choose the FTP account you wish to assign it to and select Next. Ensure all the details are correct and click Finish. This domain will now be ready to use for web and email hosting services. A folder will be created in your FTP Account ready to upload your website files to. If you haven't already, you will need to update the name servers or DNS entries to point to us for hosting. If you are unsure about this final step, feel free to contact us.